If you put off taking your vehicle to an auto repair mechanic near Fairfax Station, VA for needed repairs or maintenance, you can compromise your car’s safety and performance. Missing regular maintenance or needed repairs for your vehicle might save you a few dollars now but later will, no doubt, cost even more. The best way to save money over the life of your car is to have an auto repair mechanic near Fairfax Station, VA who is highly regarded and ASE certified. By allowing this auto repair mechanic to handle all your maintenance and repairs on your vehicle, he can recommend all the necessary repairs to prevent breakdowns and bigger and more costly repairs later. The better you can communicate with your auto repair mechanic near Fairfax Station, VA as to what is wrong with your car, the easier it will be for your mechanic to diagnose and fix the problem with your vehicle. Write down anything you have noticed that your vehicle is doing that is not normal such as what kind of sounds it is making, leaks you have noticed, or any strange smells. If it quit running, what happened prior to it stopping. How was it different than before it stopped? Let your auto repair mechanic near Fairfax Station, VA know when the last time you had your vehicle into the shop and what it was in there for. It could be related. Backfiring—a gunshot sound coming from the engine or tailpipe. Bottoming—an excessive noise felt through your steering wheel or passenger compartment when going over bumps. Bucking—a lurching feeling when your engine hesitates, or your transmission slips changing into gear. Hesitation-a brief loss of power during acceleration. Knocking—a rapid rattling heard when accelerating. Sluggish—when your car does not accelerate smoothly or strong enough. Surge—a sudden change in your engine’s speed. Dealing with an auto repair mechanic near Fairfax Station, VA will be less stressful if you do not set unrealistic expectations. A quick and cheap repair might sound great, but keep in mind, there may be others ahead of you and always be sure to get an estimate before allowing your mechanic to do the repairs. This way there are no unforeseen charges. 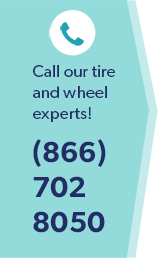 Leave your phone number with your auto repair mechanic in Fairfax Station, VA so that if another repair is necessary, he can call you before doing the repair.